"The art of painting unveils the mystery of the universe"
you listen with your eyes. You think the same, don’t you?" An old saying affirms that “those who are immersed in painting will live longer because life created by the touch of the brush strengthens life itself”. 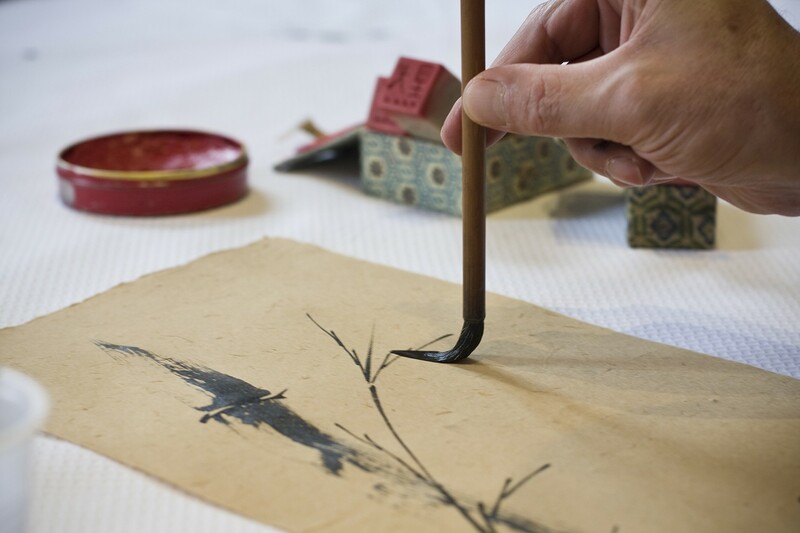 According to ancient Chinese tradition, the harmony of a work of art reflects the universal harmony of the Tao (Do in Japanese), which is the supreme and inconceivable principle that has generated the world and rules the secret rhythm of nature. It is not by chance that the dominant feature of great Chinese painting is landscape, which is always subtly realistic and metaphorical at the same time. Human figures and man-made things never avert your eyes from the painting’s focal elements, such as a mountain, a waterfall, a tree, bamboo or an orchid. In fact, their position establishes a climate of symbolic correspondences and by analogy, refers to balances established by the Tao between Heaven and Earth, man and nature, gravity and lightness, fullness and emptiness. Whether in a living being or in any human creation, Ch’i (Ki in Japanese) circulates in all things. It is a spirit, a breath and an intangible force. It is a concept which may appear vague and annoyingly metaphysical to Western sensibility. However, the ideograph of Tao (Do) means “The Way”, and a way (path) is made to taken and followed.